Characteristics: Manufactured base on German DIN standard, suitable for high temperature thermal system. 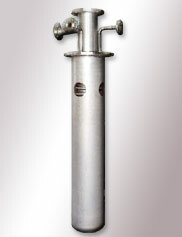 valve max pressure resistance has 16BAR and 25BAR,valves diameter range between 15mm-200mm. Same valve body can switches to 2-way to 3-way valves. Reaction time fast, can use for proportional control. 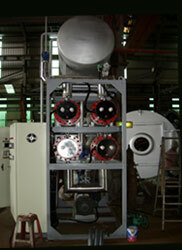 Pneumatic actuators can operation as 2and switch 2 direction (Air Force Up and Air Force Off). suitable for various program control (P, PI, PID, or ON-OFF). Characteristics: Manufactured base on German DIN standard, suitable for high temperature thermal system. 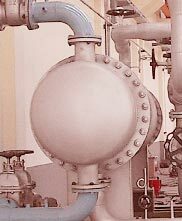 valve max pressure resistance various to 16 BAR and 25 BAR, valves diameter range between 15mm-200mm. Same valve body can switches to 2-way to 3-way valves. Motorized actuators are available for 220, 110 or 24 v, 50 or 60 Hz, suitable for various program control (P, PI, PID, or ON-OFF). Characteristics: Japan made, can switch to 4-20mA/200ohm for single ordouble point point valve spring ratio operate precision flow rate, very high tolerance. Characteristics: German made, Particularly for 3 point step output, very high tolerance. Smart PID Automatic programmed control, can use for linear programmable control, Suitable for many different type environment and operation input (pressure, temperature, electric), high performance. © 2008 Uni-Matic Enterprise Co., Ltd. ALL RIGHTS RESERVED. No. 23, Lane 118, Ming Der Rd., Pei Tou District 11280. Taipei, Taiwan. No.599, Caoxin Rd, Caowang Development Zone, Jiading District, Shanghai, China.